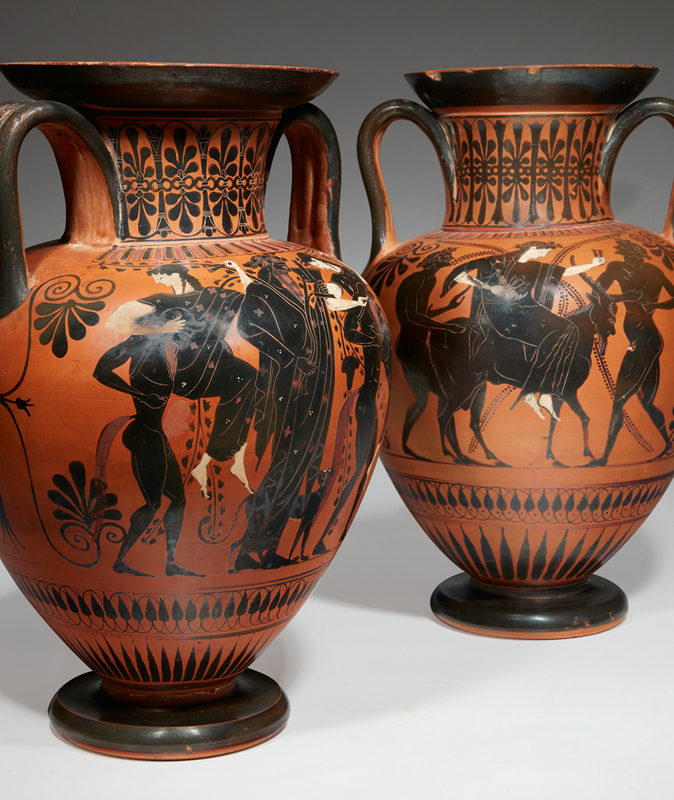 The two Attic black figure vases excavated by Lucien Bonaparte and secured by the Louvre at Pierre Bergé et Associés’ in Paris for €550,000 (£482,455). The vases, which are classic examples from the 6th century BC, c.520-500, from what is known as the Leagros Group, stand 17.5in (44.5cm) high and are painted with scenes of Bacchic revelry featuring figures of Dionysus with satyrs and maenads. They were part of a large group discovered during excavations undertaken by Lucien on his estate in the Etruscan town of Vulci from 1828-29 and granted a licence to be exported by the Vatican Museum at that time. They were subsequently sold from Lucien Bonaparte’s collection in 1837. Offered at the PBA auction on May 16 as two separate lots, each estimated at €200,000-220,000, but with the option to be sold together, the Louvre exercised its right of pre-emption. The Paris museum secured them at the fall of the hammer for a combined price of €550,000 (£482,455).